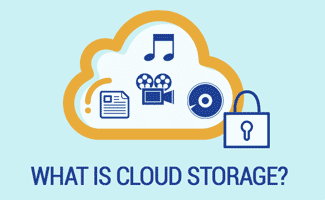 Home > Security > Online Security > Cloud Storage > Avoid a Wipeout: What is Cloud Storage? Working on a big project and afraid you could lose all your hard work? We’ve all been there. You’ve spent hours upon hours on a crucial presentation, report or proposal; your computer crashes and you lose everything — all because you only saved your files on your computer’s hard drive. Even worse, ALL other files on your hard drive were wiped out as well. If you’re not backing up your files elsewhere, you’re putting yourself at a huge risk. So, what’s the best way to back up computers? Keep reading to find out the different (and easiest) ways you can store your files outside of your computer’s hard drive. If you’re looking for an easy, inexpensive place to store your files, cloud storage is an excellent option. But what exactly is cloud storage? Think of cloud storage as, well, a virtual space (like a cloud) that’s grounded by remote servers that keep your files and data safe and secure. It’s like having a bank security box, without the need to physically go anywhere to access your safe. The following video does a great job at illustrating cloud storage. 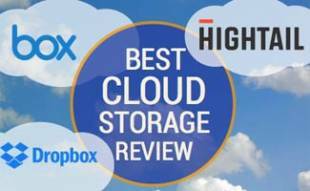 And be sure to check out our Best Cloud Storage Services Comparison article to see our top picks for cloud storage services. What’s the difference between storing your files in “the cloud” versus using an external hard drive? An external hard drive is a separate device that you hook up to your computer to store all your files. The main difference? You have the external hard drive physically in your hands, whereas the cloud is virtual. An external hard drive is more of an old-school approach to backing up your files, but some people prefer to have their files in their possession. With an external hard drive, however, you still run the risk of it getting lost, damaged or dying entirely. And you must have the hard drive with you to access your files, unlike the cloud where you can get to your files from any device or location. Although considered the new trend by some, the cloud has proven itself safe and secure. So much so that, according to Fortune magazine, an estimated 800 million people are using the top three cloud storage services to store their precious data. Still, with the quirkiness of technology, it’s probably a good idea to use both the cloud and an external hard drive, especially if you have irreplaceable data like family photos and other records. 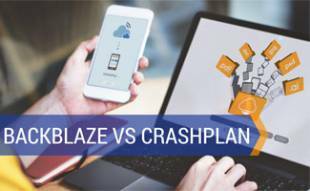 Using both methods gives you two completely separate backup plans if your computer crashes. If you just need a place to store your important files, like family photos, records or previous corporate documents, then a cloud storage service could be all you need. On the other hand, online backup services go the extra mile. Typically a bit more expensive, online backup services can be worth it if you want your current files continually saved in the cloud. Not only do the best online backup services do the work for you, they can automatically sync all your devices in real-time. In other words, every file you’re working on is being continually backed up so you don’t have to worry about losing progress on that big project. 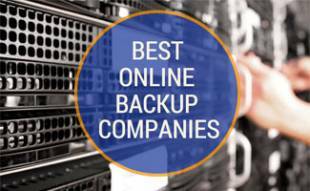 See our Best Online Backup Services Comparison article to see which services we recommend. Which Backup is Best for You? As we’ve already stressed, it’s a no-brainer to back up your PC and work computers. With so many options available for consumers, there’s no reason to put it off. Some cloud storage services are free (up to a limit), but you’ll likely incur a minimal cost to save your files outside of your hard drive. Consider the types of files you want saved and how you want them saved. Do you need to store photos and records but don’t need them continually backed up? 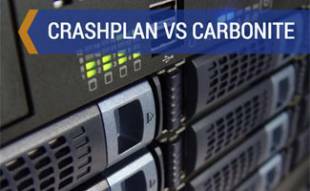 Or are you looking for a safeguard against a total data devastation? We hope we’ve helped clear up the confusing world of how to back up a computer for you. What are you doing to protect yourself from a hard drive wipe out?